FSFF is doing Antonioni this week. Looking through the academic papers Catherine has listed the divide between film and what is written about it seems enormous. The density and opacity of jargon-filled texts often seem to bear no relation to a film viewed on screen. Picked out Laura Rascaroli and John David Rhodes, ‘INTERSTITIAL, PRETENTIOUS, ALIENATED, DEAD: Antonioni at 100’, in Rascaroli and Rhodes (eds), Antonioni: Centenary Essays (BFI/Palgrave, 2011). This is the intro essay by the editors in the collection. The story is the screening of L’Aventura  at the 13th. Cannes Film Festival. The audience hated it. Rossellini, Georges Sadoul, Janine Bazin, Anatole Dauman, André S. Labarthe and Alain Cuny). The short letter read: Conscious of the exceptional importance of Michelangelo Antonioni’s film, L’avventura, and appalled by the demonstrations of hostility it has aroused, the undersigned professionals and critics wish to express all their admiration to the author of this film. 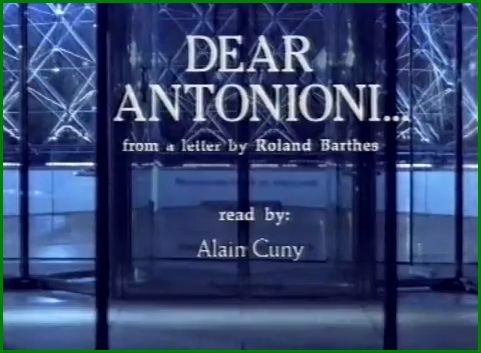 Roland Barthes wrote an open letter, Cher Antonioni, which was read out on 28 January 1980 at a ceremony in which the city of Bologna awarded him a civic honour. 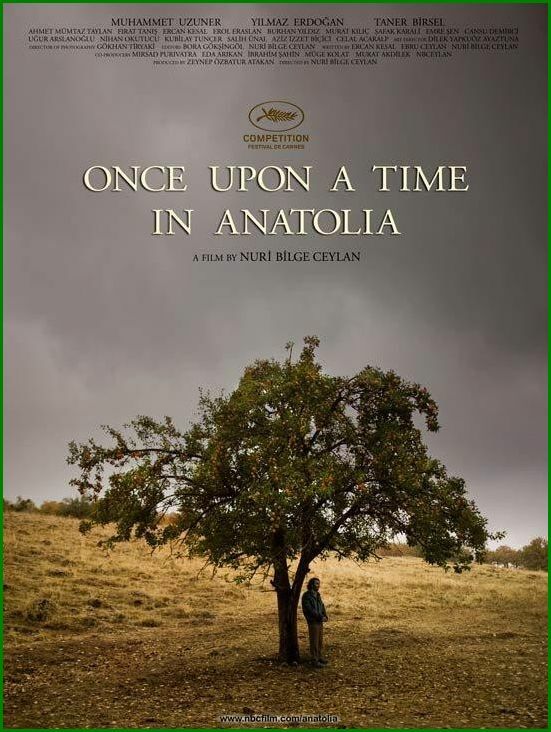 …..a dense and insightful one and one of the most elegant pieces ever written about a film-maker. 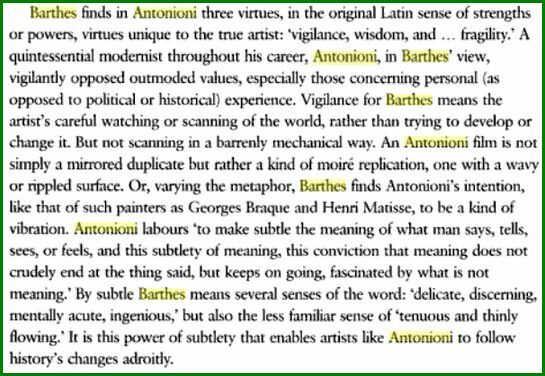 There is a 6 part Youtube of a BBC Arena programme, Dear Antonioni…, aired on 18 January 1997, which uses Barthes’ letter to frame an essay on Antonioni. Included amongst the commentators is Alain Robbe-Grillet. Ever try one of his novels? Erk. Note he wrote screenplay for Alain Renais’ Last Year in Marienbad. –How much does a photograph really capture the essence of a person?